Guess you guys already watched on medias or tried this product on face. Yes! 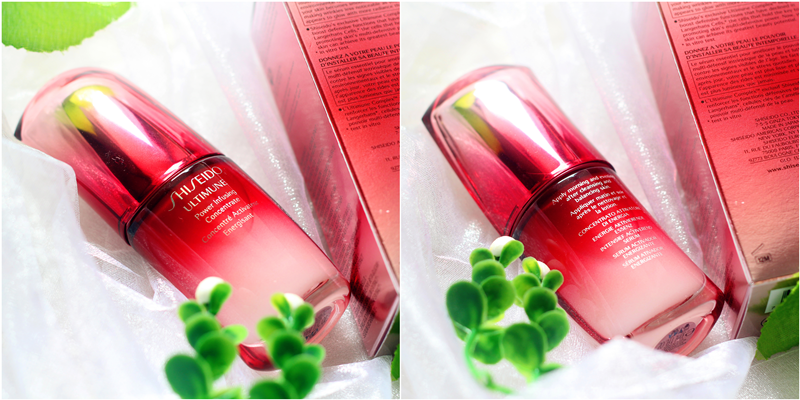 Shiseido was globally launched this pre-serum on September 2014. Kinda apology not updates this pre-serum on-time because what I want is share my personal thought and view after one month using this product (gotten since August). What the unique of Shiseido Ultimune Power Infusing Concentrate? After 20 years of research and developments, Shiseido finally created 'Ultimate' that supports natural skin function to maximize its own ability beyond just focusing on current skin concerns. - Skin has the natural strength to maintain its beauty. Shiseido discovered that the function of Langerhans cells (which can control skin immunity) can be undermined with not just by external threats like dryness, air pollution and UV rays, but also by aging and emotional stress. It also proved that calming enzymes of Langerhans cells which help to neutralize skin-damaging factors will decrease with aging and stress. I am a sucker of packaging design. 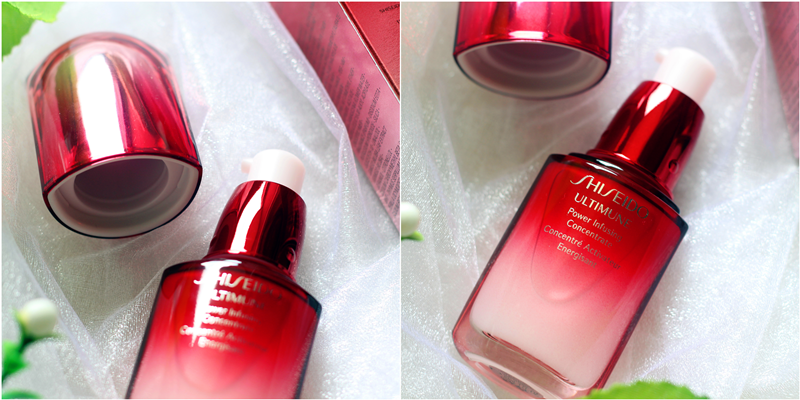 The new Shiseido Ultimune Power Infusing Concentrate is beautiful and elegant. Gradient red color with interesting curved shape of the bottle really bang my heart so well. It's even charming and attractive when stands on my vanity table. Plus the color is in red color which is my favorite color! Oh gosh! I have to give a big applause on their packaging design development. The body is in glass-made but the lid is in plastic-made which kinda disappointing that lost big point in overall. The lid is like those kinda cheapo plastic covers with metallic wrap. The head is a pumpy function which is the best tool ever in beauty product because it's hygiene, controllable amount and decrease the percentage of oxidation. 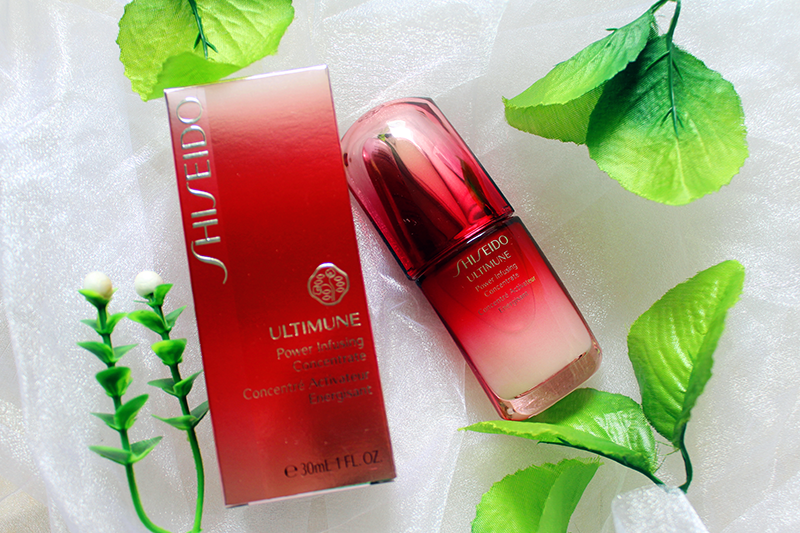 Shiseido Ultimune Power Infusing Concentrate is a pre-serum that designed for all skin types and age groups, regardless of skin concerns. It can be introduced into any skin care regimen and helps to boost the performance and benefits of any serums and moisturizers that follow. 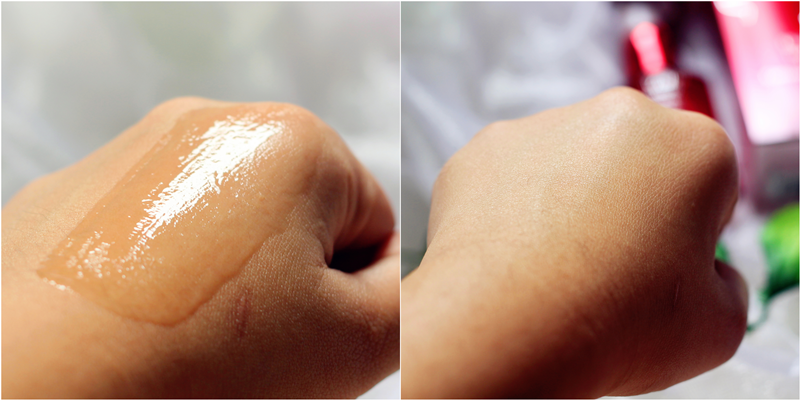 The texture is light gel-like fluid. It is lightweight and has a nice scent (I believe is floral fragrance). When pump it out, it's like a light gel form but I feel like the texture turns into water when I apply the pre-serum on my face. It's really easy to absorb, not feeling greasy and sticky, slight cooling effect and with soothing fragrance surrounding when apply. Here's my skin condition before using Shiseido Ultimune Power Infusing Concentrate. My skin's surface was bumpy and super dehydrated during the moment. My foundation was definitely like floating on my skin and it's turns cakey patches and oiler when reached humid evening. I have used this pre-serum for almost about one month. I only use this pre-serum during night. Frankly speaking, during the first week of usage I did not see any improvement on my skin. My skin condition did not turned any better. I was abit fade up when saw the result. 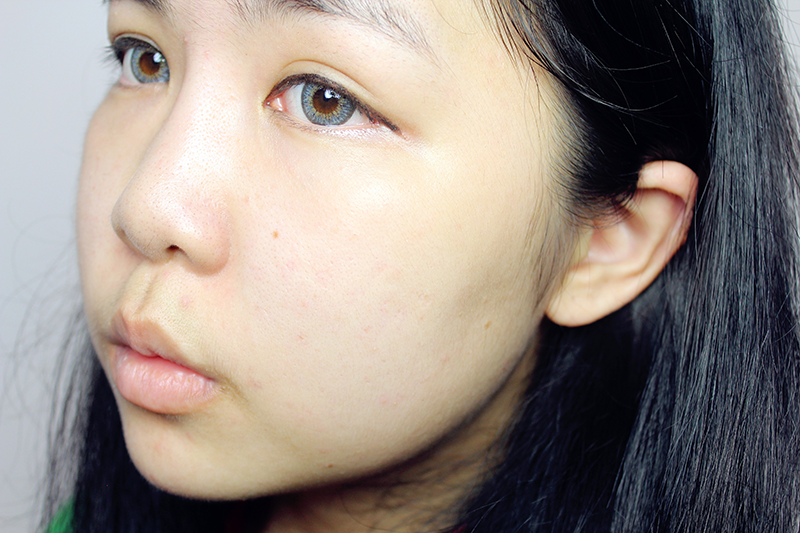 Then moved to second week, like finally my skin started getting better, my skin is smoother and slightly hydrated. My face is not that oily anymore when reach mid-evening. Then, continuing into third week usages. I was like happy kid getting the best grade in class, lol. My skin is getting even better comparing with second week. It's even more smoother and moisturizing. The biggest improvement is my foundation was docilely and did not looked cakey anymore. The biggest improvement I can see is my skin's texture was smoother and hydrated. Since I have no fine lines / pigmentation / wrinkles so I can't really giving a judge on it. Honestly speaking, I can't see any extrinsic improvement on my face. What I can said was my foundation finally turns natural-finish instead of like patches cakey girl after using this pre-serum. 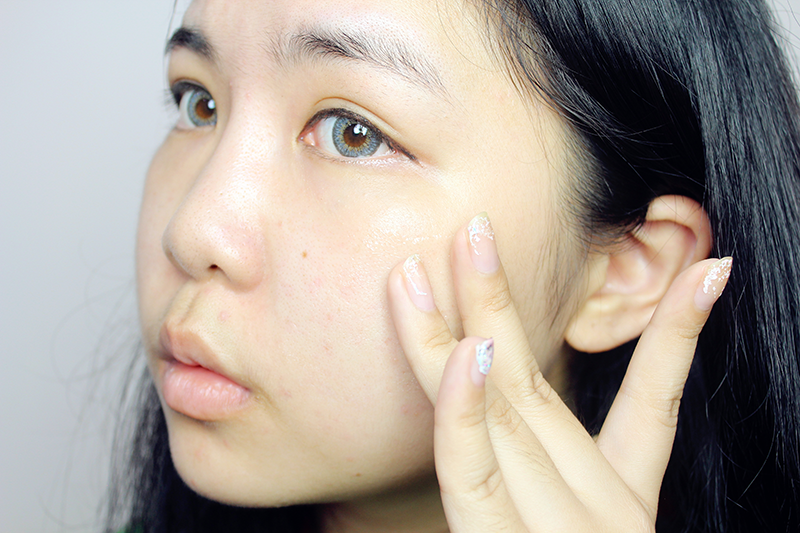 Last but not least, my face finally less-oily (turns back to a normal combination skin). Probably personal thought that this pre-serum really helps in moisturizing and hydrated my skin well. I did not facing any breakouts or irritations when using this pre-serum. 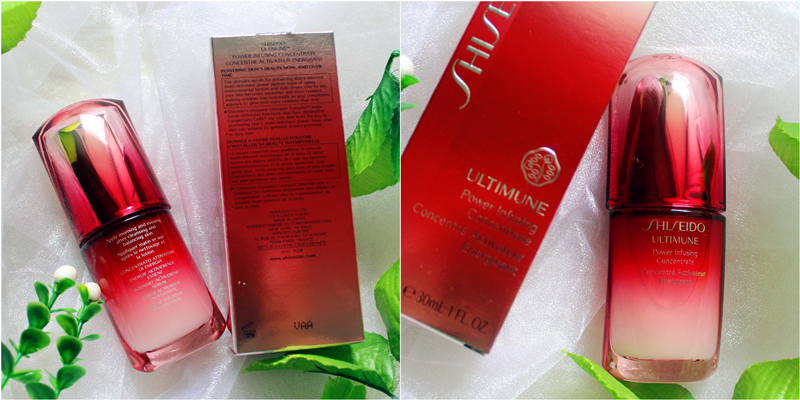 For those who never tried pre-serum before, Shiseido Ultimune Power Infusing Concentrate could be in your consideration. Pre-serum is another step into skincare regime, use this after cleansing and toning or so call lotioning, but is BEFORE apply serum or moisturizer. The purpose of this pre-serum is helps to enhance the benefits or works better of the serum and moisturizer. 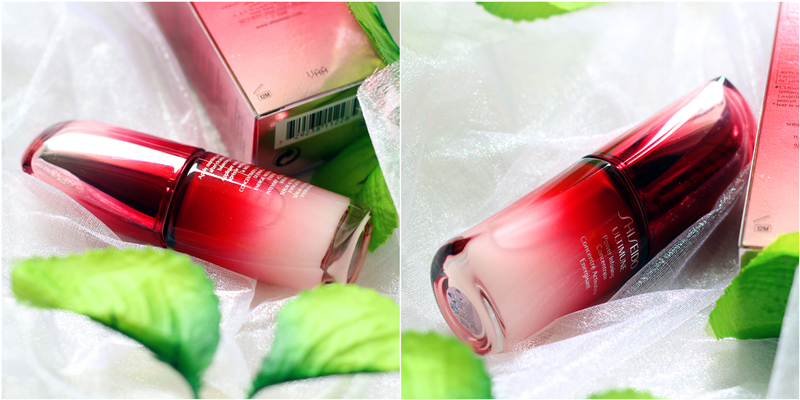 The packaging design is beautiful elegant and the texture is very lightweight; is a light gel-like fluid. It has a very nice soothing fragrance as well. It's absorb quickly and comfortable when using it. I can see the improvement of smoother, glowy and hydrated skin in overall after one month and still counting of usage. However, I can't see any significant results other than that.